If you are hoping to find out how to craft an essay in the disciplines such as marketing, finance, management or business technology, many guidelines can assist you to develop an essay that is coherent, credible and perceptive. The most important thing to consider is how you want to write your business technology essay that provides relevant content and whose arguments are well supported by facts, research, and relevant illustrations. Begin by deciding what the topic of your paper is asking from you. Look at the wording of the prompt to find out which approach best suits writing about the essay in question. The most common wording for a business technology essay prompt includes discussing, illustrate, interpret, compare and review. Other examples could include “observe how the internet has impacted the marketing mix of an organization.” Such a question requires you to take on an exhaustive approach to discussing the issues that might crop up while you are researching your paper. High quality and intensive research are needed if you wish to make arguments that adequately support your claims. The best way to get good research material is to source it from content that is well reputed, peer-reviewed or academic materials. Most of the materials you will find online contain case studies on the subject you are writing about. Your sources may include any from journals through to research papers on your subject of interest. Researching to find relevant material to support your paper is not easy. This is why most students shy away from writing research papers, even on subjects they are passionate about. Well, do not let that come in the way of you producing a great paper. Never shy away from going deep in your research and you will have a great paper at your hands. Develop an outline for your paper. This is important because it enables you to get organized so that your ideas and supportive sentences are connected together into one seamless essay. Write down all the key ideas you wish to expound upon in the essay so that you can write a good introduction, body, and conclusion. That way, you will be able to digest and analyze the information you collected in your research process. Compose your first draft based on the outline you made for your business technology essay. Try to use clear, constructive, precise business jargon when you are discussing your points. However, try to stay away from complex jargon. Begin with a preface or a summary of how you understand the essay and how you will proceed to answer it. Go to the background of the essay and provide your reader with some background information regarding the topic you are writing on or you could simply give some speculation about a topic that common in case it is a case study. The next step is to talk about findings from your research process. Remember that you should reference your citations within this section based on the formatting style you chose. Use quotes where you want to use words as they appear in your reference text. If you have to summarize information from your sources, provide citations at the end of the summary. 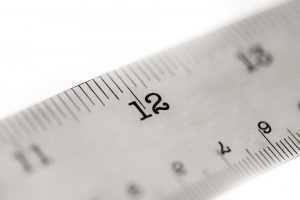 The number of references you will need will depend on the length of your essay. Nevertheless, do not use more than 10 references if your word count does not exceed 1000 words. Provide a conclusion at the end of your essay. Be sure that you do so logically by assembling the main ideas you discussed in the body of your essay. Also, be sure to state your own point of view so that the end of your essay answers any question you presented in the preface. List your sources under the bibliography section of your essay. Arrange your references based on the rules of the formatting style you chose to use. Also, provide an appendix where you will list the supportive content such as charts, texts or graphs that you used to explain your arguments. The last step, as always, is to proofread your work and find out if you made any error. You can do it on your own, use online tools or ask someone to have an expert eye on your paper. A presentation can achieve a number of things that a written communication cannot accomplish. A presentation draws the audience and the speaker together, in terms of ideas and individual personalities, mostly in meetings, lectures, and seminars. Through the process of direct communication, the audience gets to respect the speaker for her or his ideas and the knowledge that he or she has about a certain subject (Alberts, Nakayama, & Martin, 2015). A presentation manages to reach the hearts of the audience (Alberts et al., 2015). This is because it mainly incorporates aspects of art such as short speeches, dramatizing, and singing. For example, in a presentation that is organized for ill people or people who are dying of hunger, well-wisher may be touched to offer donations to buy medical equipment, medicines, and food by just singing about poverty and hunger. A presentation is able to create a picture in the minds of the audience (Alberts et al., 2015). It often incorporates non-verbal communication. Whenever a speaker is stressing on a certain point, he or she makes use of gestures, such as hand movements. This non-verbal communication helps the audience to understand the context more through the creation of a mental picture. Through a presentation, the audience can easily probe the speaker to clarify certain points. The public at the presentation consists of not only literate, but also illiterate people. The illiterate audience requires special attention such as further interpretation so that they can understand the message. Therefore, a presentation gives them that chance. Written communication has many disadvantages compared to a presentation. It is more time-consuming than the oral presentation, and also is harder to understand sometimes (Alberts et al., 2015). Written communication costs more time for both the writer and the reader. It takes less time for a speaker to prepare the presentation and present it. In addition, the content of a presentation is summarized, hence a listener only needs less time to understand the idea compared to written information. Moreover, during a presentation, a person who doesn’t understand the content can easily probe for further explanation. On the other hand, written communication does not make sense for an illiterate person unless there is someone else to explain the content. Written communication is also more expensive compared to oral presentation (Alberts et al., 2015). It requires a great deal of resources such as a pen, ink, paper, computers, printers, and typewriters. 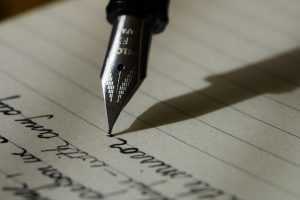 A lot of people may be required to prepare written assignments, and these aforementioned materials needed to do it can make written communication more expensive. This distinguishes it from the oral communication, where a presenter only needs material for and a little time for preparation. There are certain things that I can learn as a speaker. Firstly, I should make use of non-verbal communication more often. It makes it easier for the audience to understand the idea. Apart from that, it makes my presentation more interesting, in such a way that the audience gets neither bored nor sleepy. Secondly, I should always give my audience a chance to comment, and also probe further on unclear points. Feedback from the audience offers a platform for the improvement of future presentations. They can also be used to gauge the level to which the public has understood the material. Giving the people a chance for probing further helps them to understand difficult points.